This letter is from B.F. Dawson to the Colonel of the Second Kansas Militia, in Topeka, Kansas. 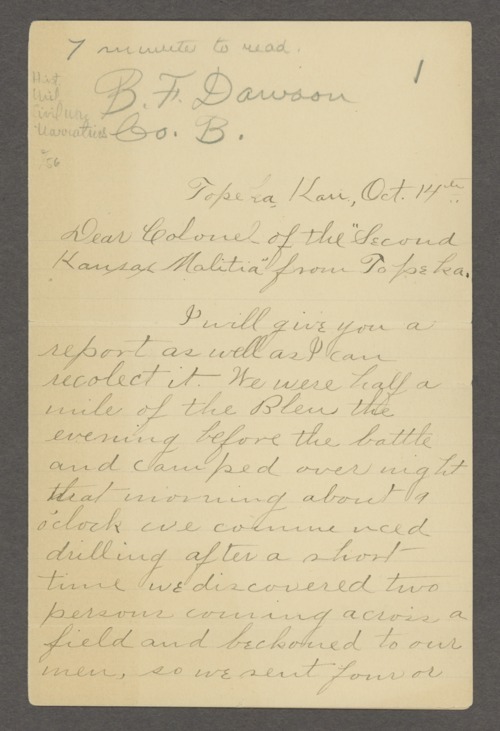 The letter contains Dawson's recollections of the Battle of the Blue, which happened on October 22, 1864, in Jackson County, Missouri. Dawson wrote the letter in Topeka, Kansas.